Sanity check before I replace a clutch on my MSM - Miata Turbo Forum - Boost cars, acquire cats. 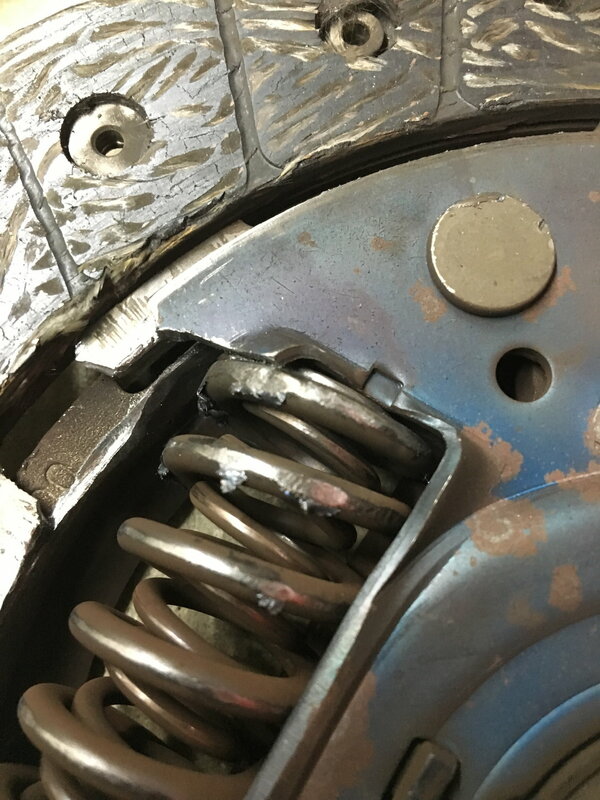 Pretty sure I have a bad pressure plate (I've read about springs breaking? ), but I'm hoping to get a sanity check before I buy a new clutch/flywheel combo. Leaning toward the SM 1.8 organic disc and 13.9# flywheel since there seem to be a lot of complaints about shuddering on the FM happy meal. I took a video of the clutch slave/fork movement if it would help to post it, but it looks normal to me. Normally I'd guess a bad hydraulic system with these symptoms, but all that seems fine. At this point I'm guessing it's either the clutch or the trans. Any other ideas? Thanks in advance! EDIT: Disc has chunks broken off around the springs, and pilot bearing fell out. Pics in the posts below. EDIT 2: Even before break-in period is complete, new clutch and flywheel fixed everything. Last edited by delturcious; 04-20-2019 at 11:10 AM. 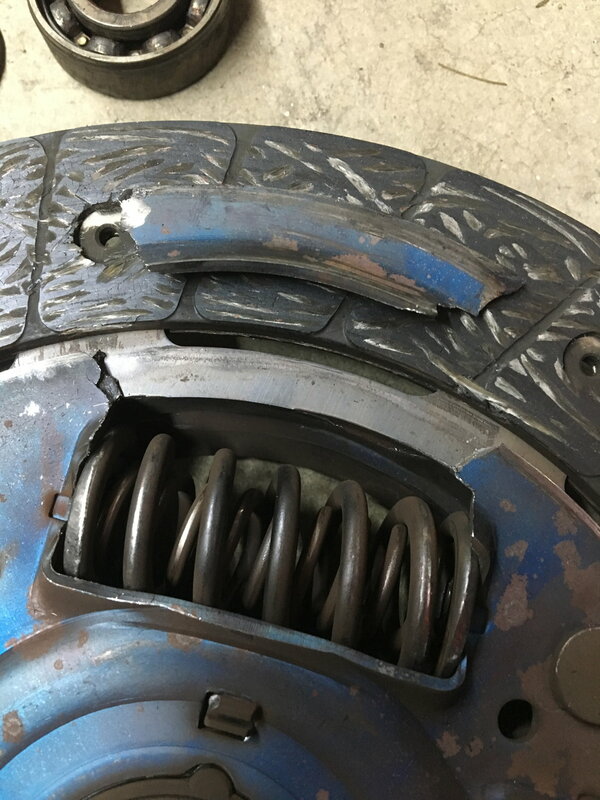 I think the grinding into reverse may be normal. Can you shift without a clutch smoothly? If not, it sounds like a transmission issue, not clutch. I haven't tried totally without the clutch (I actually haven't driven it in months), but if I rev match at low RPM & low load I can shift as smoothly as a 6-speed can. I'd rather swap a 5-speed in, but the consensus seems to be third gear WILL eventually fail on those. It's an original clutch, so it probably needs to go anyway, but is there anything I can check/replace on the transmission while it's out? Also forgot: changed out the Redline fluid that had been in ~30k miles for synthetic Motorcraft. At this point, you're pretty much going to have to take the trans off regardless, I'd order a clutch either way at 142k miles. Find a very slight incline, stop, put the car in first and keep the clutch depressed, does the car roll backwards or hold itself? Easy to tell if you're getting proper disengagement that way, in my experience. Fluid that is too slick can keep synchros from doing their job well and can make the gears grind sometimes. 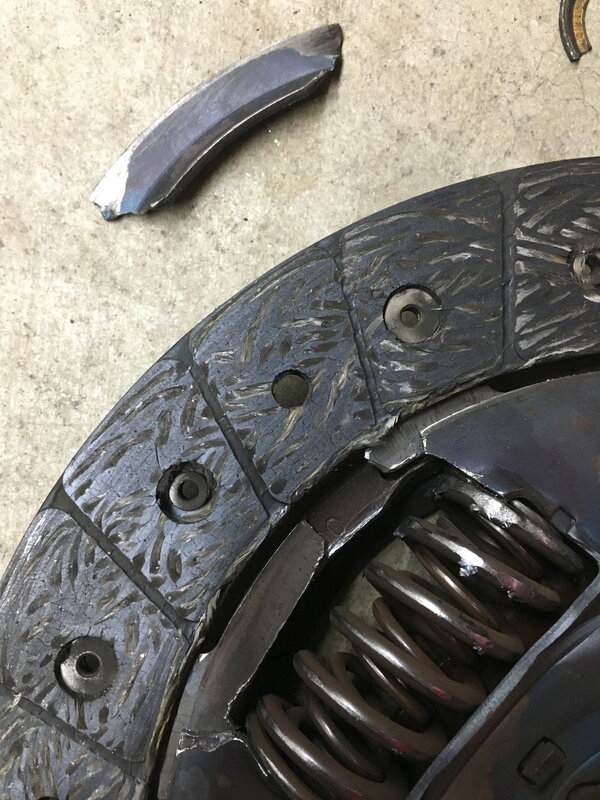 How in the world did you keep a stock clutch for 142,000 miles? 150K miles on stock clutch checking in. You must have a very gentle touch sir. Duno how it compares to Miatas, but my co-worker has 198k on the stock clutch in his 05 Civic Si. Your symptoms sound similar to a buddy of mine that broke a pressure plate tang off an ACT plate. I don't see master cylinder in the list of replaced parts - its a maintenance item that should be replaced with the slave IMHO, they're fairly cheap anyway. FWIW SPM Organic clutch w/12 lb flywheel has been the most pleasurable clutch experience I've had in any car to date. Yep, I've resigned myself to that. I'll grab a trans jack from HF this weekend and will hopefully have time to yank everything apart Sunday. I've read about a few broken tangs, so I may have some interesting photos to post in a few days. I haven't bothered with the master, though it's not leaking (yet)... you're right though. Thanks for another vote of confidence on the SPM organic... still waffling on the flywheel, but I'd probably regret just resurfacing the OEM one. haven't bothered with the master, though it's not leaking (yet). Clutch master usually doesn't visibly leak - just blows fluid past the seals and doesn't build sufficient pressure. Oh. Does this look normal? Yes. You can pull the boot back and look for leaks, but a leak really only affects you at a stop with the clutch in. It’ll eventually bleed down and release the clutch. A shift at speed should require little to no clutch disengagement. Years ago I owned a 2001 nissan maxima 5spd. 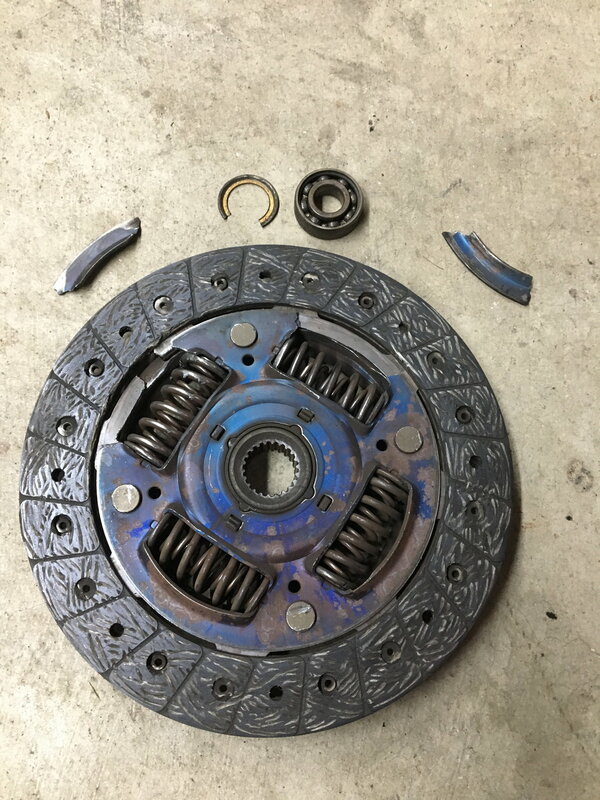 Bought the car at 90k miles with original clutch. Drove that car till it died at 230k miles. Still on a perfectly working original clutch. I'm fairly confident the problem here has been identified. In addition to the broken pieces around the springs, the pilot bearing fell out before I even pulled the flywheel off. Guess that makes my decision for me on a new flywheel too. Sanity/ Logic check before $$Baller Brakes$$. Sanity check: Strapping 4 tires to the back of my trunk.